Call me sentimental, but one thing that I have always wanted to do is name a star. It is the kind of thing that you do not generally buy for yourself but is a perfect present for a loved one. It may be the romantic in me, but if someone I loved did this for me, like a boyfriend on Valentines Day or a gift at Christmas; I would be thrilled. So I was delighted when Star Name Registry gave me the opportunity to name a star for myself. I was given the Extra Bright Star package which lets you name a star (obviously!! ), let you choose a constellation and provides you with an A4 Star Name Deed in a photo frame, a Sky Atlas Star Map and an explanation as to what bright stars and binary stars are. When trying to think of a name for the star, there was one person I had in mind that I wanted to give this gift to and that was my mum. When I was a little girl (and still when I want something haha) I always used to call her Kinsey. So now, there is a Star of Kinsey! I gave the Star Name Deed to her tonight and she was thrilled. 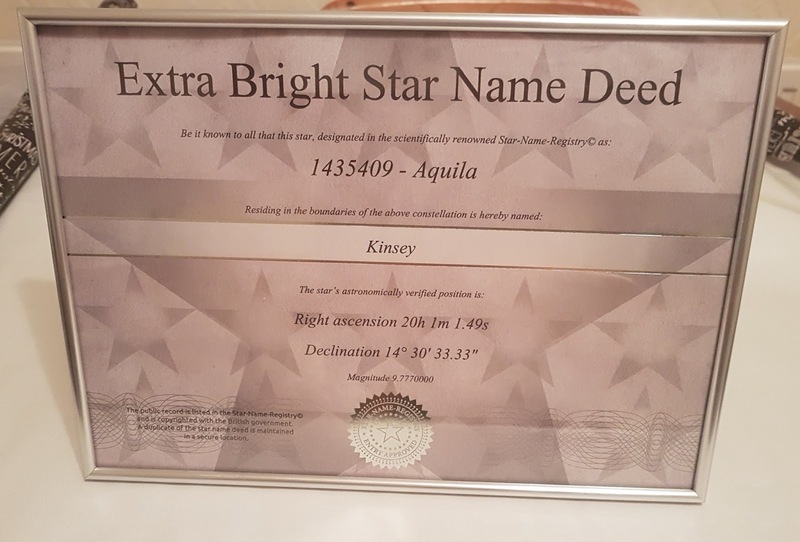 When you receive your Deed, you are given a reference number which you can enter into the Star Register site to see what your star looks like. 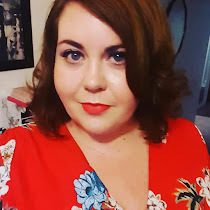 Here is Kinsey! 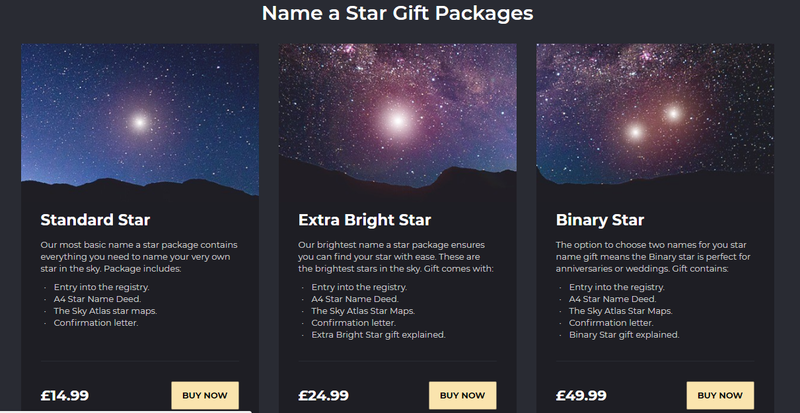 Star Name Registry are allowing me to run a competition where you can win the opportunity to name a standard star for yourself, or a loved one. What will you name your star? I would love to name a star after my pet guinea pig Finley who died at the weekend.